After our lovely afternoon on the beach and Mexican meal, I was disappointed to have to leave Sihanoukville - the relaxation felt long overdue. We were all very ready to get to Vietnam though and it really is going to be a whistle stop tour as we only have around 9 days because of longer travelling times earlier on in the trip and an extra night in Sihanoukville because of the full night bus! 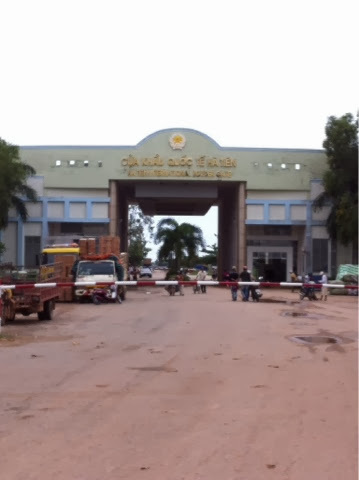 We were picked up at 7.45am for a four hour drive to the border to go through border control and cross over to the Vietnamese side. Why would you ever travel any other way?! The one thing that always gets to me when travelling is leg room - I'm quite tall at 5ft 7' for a girl and nothing infuriates me more than not being able to stretch my legs out or put my feet up; how do people sleep sat upright!? So this was definitely my preferred method of transport now and at $22 for a 9 hour journey, I didn't really care! I was able to sleep comfortably, listen to music and not get irritated by anybody next to me! The only fault? All we had eaten allday was a tube of Pringles each and some nuts. There were no stops along the way to get food, only toilet stops so, as you can imagine, we were all craving something nice to eat that evening! I had booked us into the Thanh Hostel for the night, just off Bui Vien which is a very similar atmosphere to Khao San Road in Bangkok, minus the street sellers! It actually ended up being really nice for the money. 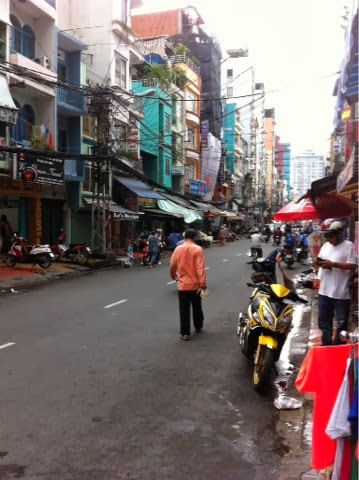 We were directed down a very...interesting side street; brought crowds of locals enjoying various types of street food. The hostel was all locked up which was the strangest thing but a nice Vietnamese lady came to our rescue, showed us to the correct door and banged on the shutter. We we're let in and shown to our rooms by the sleepy hostel worker and threw our bags in. It was now around half 11 at night so we quickly headed out in search of food. We decided on a little Italian place a few doors down from our hostel (on the main road) which was distinctly average. Don't opt for a Panzanella salad in Vietnam, it will not be what you expect! My hunger had passed and my decision making skills were definitely switched off at this point! After food we headed back as we were all exhausted, had a few people to skype and just wanted some rest. The next day, we had to be checked out by midday so got up kinda early and went to purchase our bus tickets for our journey to Nha Trang. We then got caught in the heaviest rain I've possibly ever seen; the street flooded and water was up past our ankles in the space of 10 minutes. NIGHTMARE! Moral of the story? Always carry a PAC-A-mac and/or umbrella! 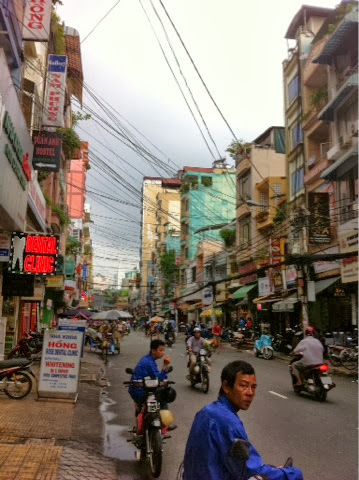 We raced back to our hostel to dry off and book our Hanoi to Ho Chi Minh flight. Unfortunately our time in Vietnam is very rushed as we fly to Bali on October 13th for our final two weeks in South East Asia. All booked with Vietjet for around £38 - not bad and a real time saver! 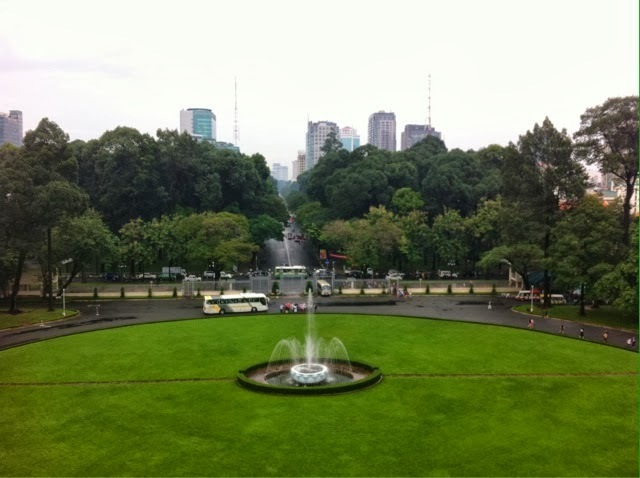 The rain died down a little so we grabbed a bite to eat then got a taxi to see The Reunification Palace and Notre Dame (yep, one here too!). We'd previously done a bit of research, and as far as I can tell, there isn't a great deal to do in HCMC. I got similar vibes here to Bangkok, a city I don't particularly like, so my enthusiasm for HCMC was pretty low unfortunately. Maybe I've just not embraced the place properly? Anyway, we headed down there and...as expected, the palace wasn't too thrilling. I didn't feel there was any strong history to it - our guide basically said '4 different presidents lived here', we were taken round, shown every room (all reminding me of Mad Men) and that was that really. There were a couple of tanks outside and a helicopter on the roof and that's about as exciting as it got I'm afraid. From there we walked down to Notre Dame, another less than impressive tourist attraction, situated on a very busy road and you couldn't really get a proper 'feel' for the place because of the hustle and bustle of the area. So Ho Chi Minh really wasn't living up to my expectations at this point. We headed back to the road near our hostel to check out some of the shops (venture just round the corner from Bui Vien) and you'll find a few cute little shops selling bracelets, lanterns, clothes and other souvenirs! From there we grabbed something to eat before getting our 8PM sleeper bus to Nha Trang. 8pm came and we patiently waited for our bus...when it arrived, our hearts sank. We were told the people before had been on this bus for 31 hours and we were getting straight on it. 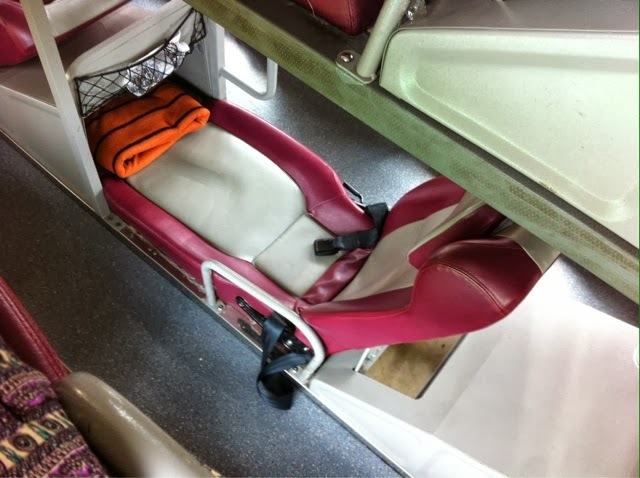 The bus itself was very dirty and scruffy with fabric seats rather than the usual leather seats every other sleeper bus has. The thing was vile and as the journey continued, the cockroaches joined us. 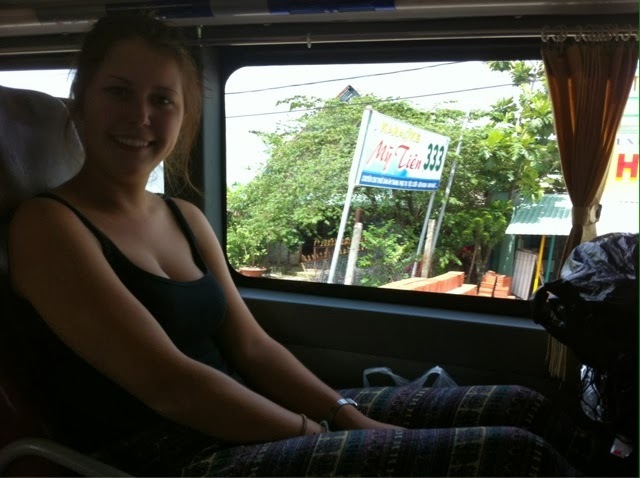 As you can imagine, it was a very disappointing journey (to describe it nicely) and I couldn't wait to wake up in Nha Trang, knowing the beach was a five minute walk away from our next hostel.